Are you in a Christmas Picture Book rut? Are your kids tired of you reading the same book over and over again? Do you find yourself scanning the library shelves for Santa, reindeer and elves? Do you endlessly scroll through Amazon looking for that perfect book? Or maybe, you peruse the bookshelves at your local bookstore. It can be overwhelming, keeping up with new Holiday children’s books. Add in the fact, that some of the books are just not worthy of reading, much less buying. I am right there with you, I am bored of what is out there. Every since I left the classroom, I am out of the loop of what books are new and good. This year, I have been on the hunt for a new exciting Christmas adventure story to share with my kids. A book that would capture the attention of two six year old books and have them hanging on to every word wondering what was going to happen next. A book that explored problem solving and friendship. I am excited to share the search is over –> I found the perfect book! Let me introduce you to newly published, “Crunch Rides to the North Pole” by Chris Valada . This adorable book captured my boys attention the minute they saw the cover. From start to finish, my boys were captivated. Subject: Children’s Christmas motorcycle adventure story. Age: I would recommend it for pre-school to elementary age children. 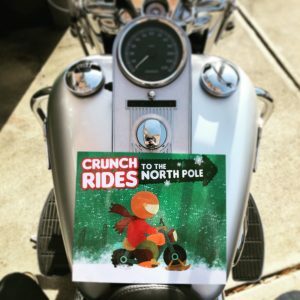 About: When a snowstorm keeps the mail carrier from picking up the neighborhood children’s letters to Santa, Crunch decides to deliver them himself. 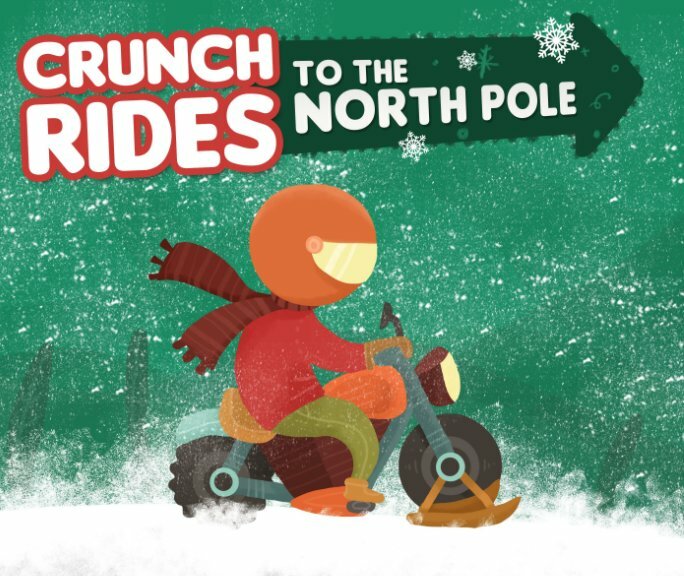 Ride along with Crunch as he travels to the North Pole. You’ll meet new friends, solve problems, and help Santa Claus deliver presents on Christmas Eve! This story has the perfect platform to practice comprehension skills, so much so, my kids didn’t even realize it was a lesson! In their minds, it was a simple conversation about a really awesome book! Find a book that your kids love and the opportunities for learning are endless! We can’t wait to see what kind of adventure Crunch goes on next! Head over to CSP’s Instagram account to enter. Chris Valada has been an avid motorcyclist for over 20 years. He’s traveled through 42 states, 3 countries, and 2 continents. Chris started writing stories for his sons as way to share his passion with them. He sincerely hopes this story inspires young readers everywhere to get outside, dream big, and try new things. 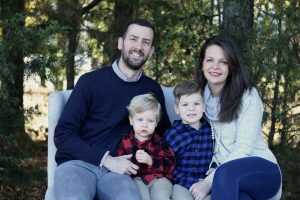 Chris lives in Charlotte, NC with his wife, two sons, and dog.